Product prices and availability are accurate as of 2019-04-16 21:29:21 UTC and are subject to change. Any price and availability information displayed on http://www.amazon.com/ at the time of purchase will apply to the purchase of this product. 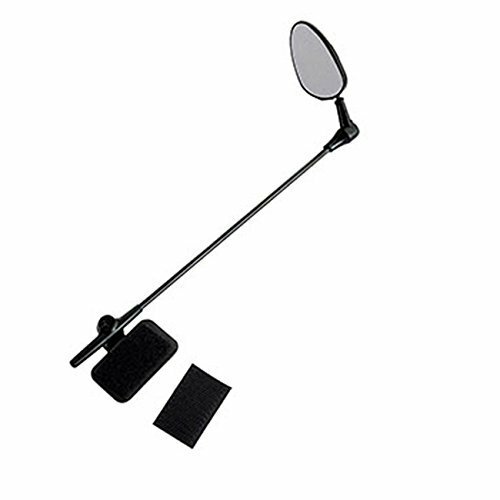 This bike mirror is our new design with beautiful shape for Cycling eyeglass, The mirror also can be folded after use. Light weight(materials: Stainess Steel and Polycarbonate), Durable and environmental protection. Fast install and remove by hand, Fully 360 degree flexible rotation. Just stick the velcro onto inside of helmet, then fix the mirror onto the velcro. Easy to adjust in a manner that is comfortable for you. 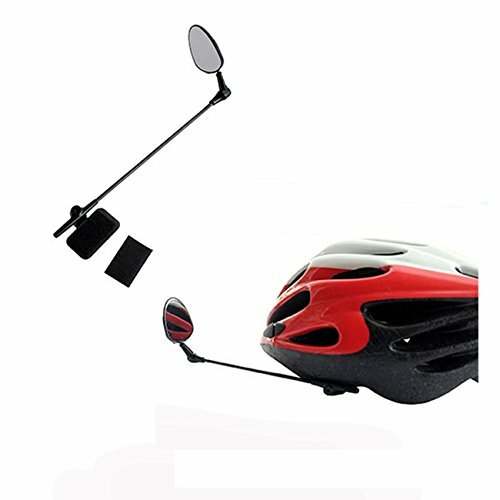 When you ride on the road with a fair amount of traffic one minute, this mirror can help you don't have to constantly turn around and look at what is behind you. Please kindly be noted that this mirror is flat, made of Polycarbonate, and the arm is made of Stainess Steel. Total weight only 25 gram, it has superior performance: Light weight, Drop resistance. You can gain wide visual range from the mirror and see what is coming up behind you. 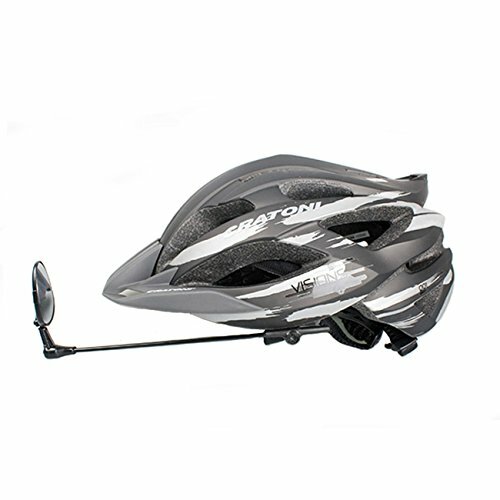 Safety is the our primary consideration, but also enhace enjoyment during riding bicyle. LOCK IN THE PERFECT ADJUSTMENT - 360 adjustment plus the mirror is on a ball hinge and makes it super easy to get the perfect viewing angle no matter your preference. 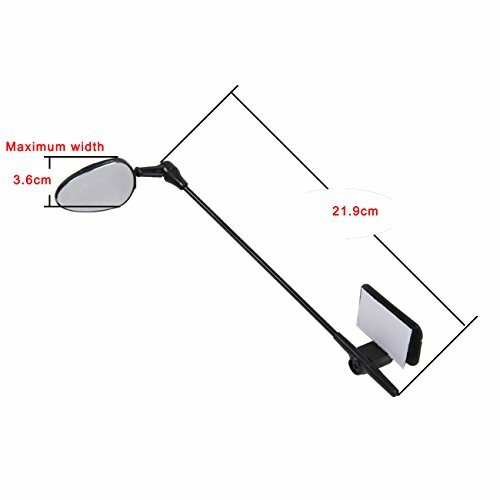 CLEAR VIEW FLAT MIRROR - We included a flat mirror so your view is very clear and not distorted which makes it's easy to view any distance behind you... similar to a car rearview mirror. 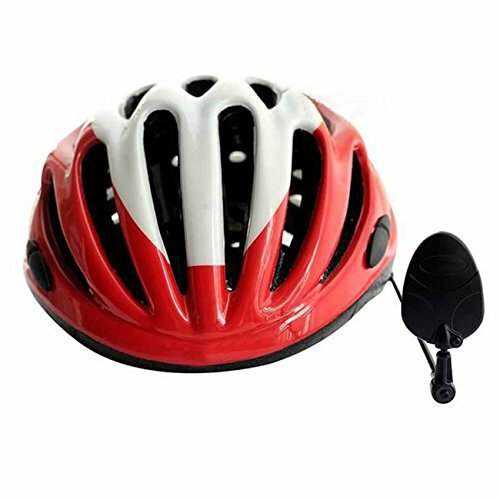 UNIVERSAL: Compatible with most popular cycling helmet, No vibrates, Can be used on both left and right. SAFETY: Don't have to constantly turn around and look at what is behind you, Discover any potential unsafety factor in time. High quality and durable: Stainess Steel arm + Polycarbonate mirror, Light weight, Drop resistance, Ensure a superior performance. Weighs equivalent to 5 sheets of paper.